My debut in Basque on Basque Television (ETB) in a programme about the village and people of Ituren. The scene is shot at my house and then at my neighbours' farm. For those who don't understand my rudimentary Basque (which could well include the Basque people!) I talk about how I came here and fell in love with the area, and how my neighbours (Sagrario and Ignacio) helped me bring up Marion, light the fire, get rid of mice and spiders and even made vegetable soup for Marion's lunch! 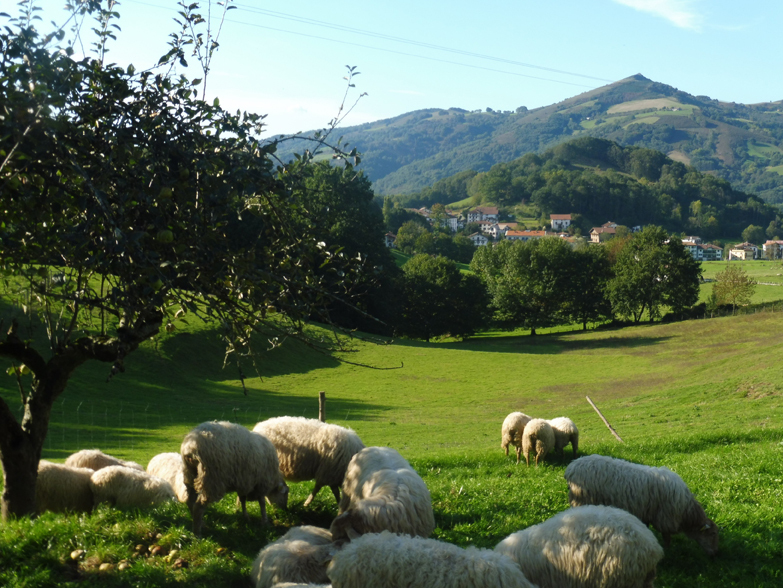 When Luis, Ignacio's brother, brought the sheep over to my field every morning he would bring a Tupperware full of Sagrario's soup too and hang it on the gate! 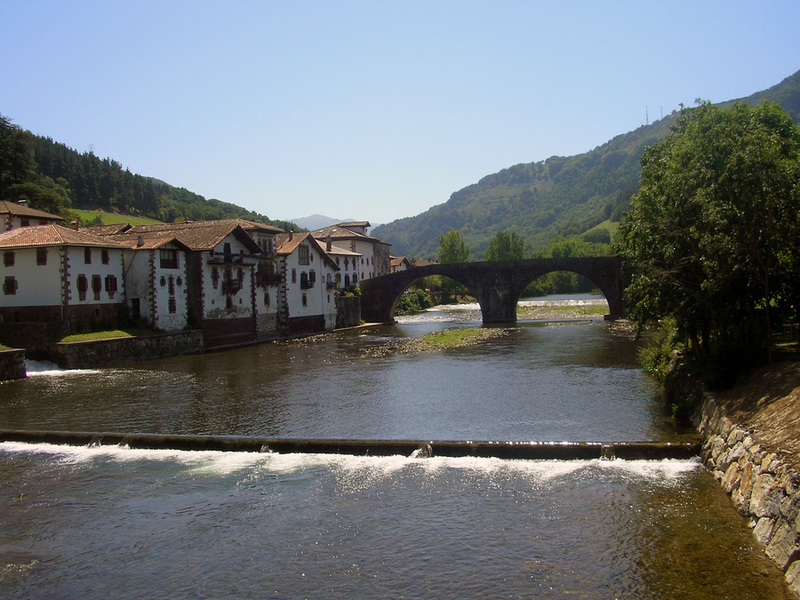 This is a short national Spanish TV documentary filmed on our lives here in Navarre in the Spanish Pyrenees. 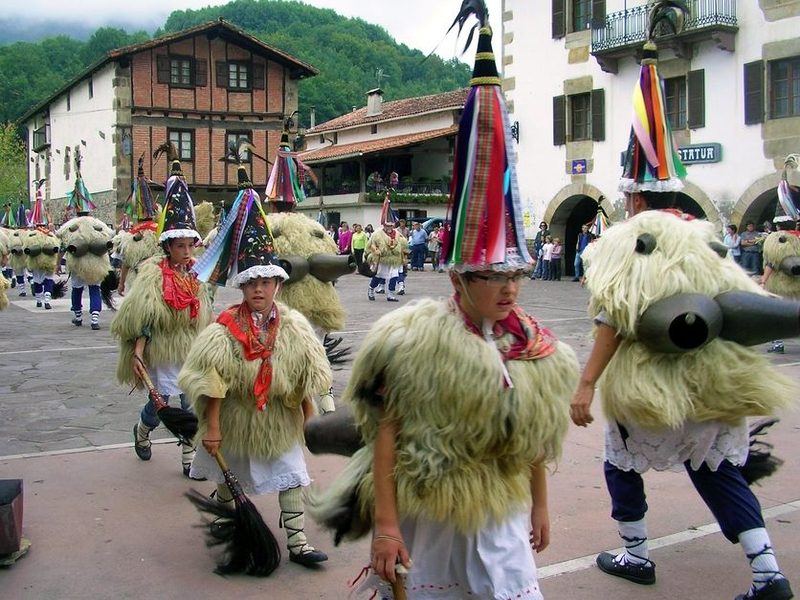 Here you meet me, my daughter, neighbours and friends as well as the Joaldunak, the internationally famous pagan carnival characters of our village of Ituren. 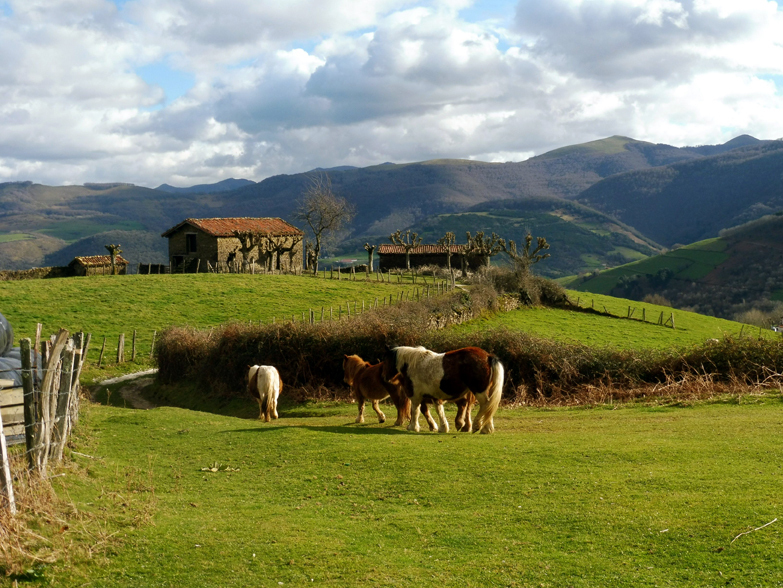 A short video compiling photos of our house party holidays at our farm in Ituren in the Basque country in the hills around the Baztan Valley. 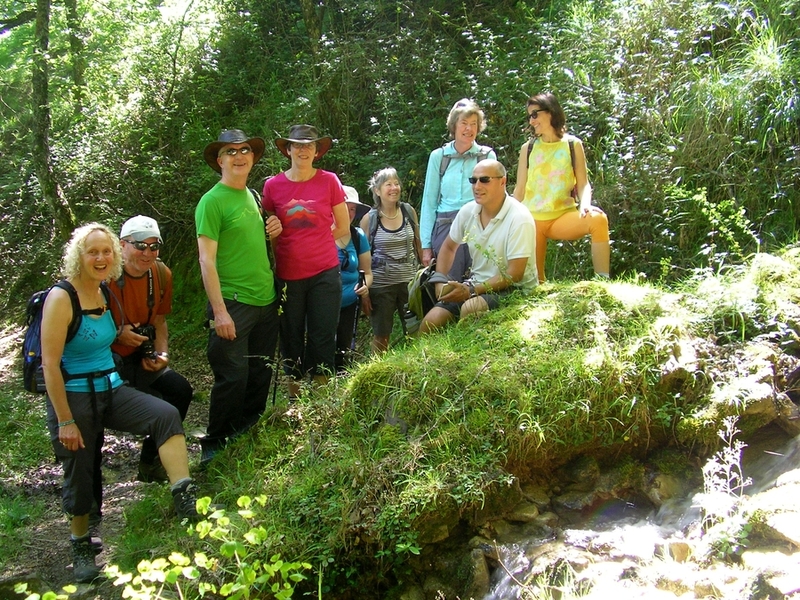 For the past 2 decades we have combined our walking holidays with elements of Basque culture and gastronomy: some weeks offering Spanish language immersion too. Each evening dinner on the terrace inevitably offers a stimulating and intercultural meeting of minds. 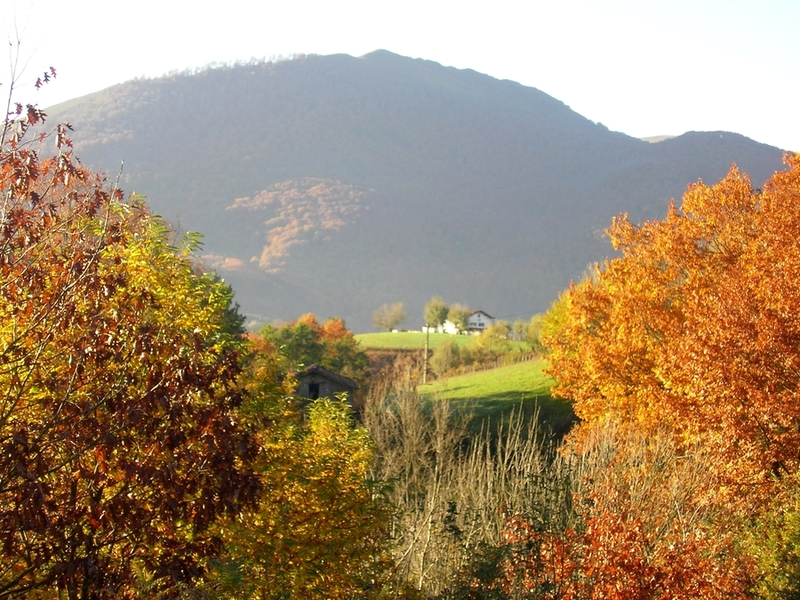 This short video takes a closer look at our home in the Spanish Pyrenees, and at our family, friends and neighbours who take part in our house-party holidays. No week is the same without Edorta joining us to sing songs on the final evening. Enjoy.